The most common reasons for surgery of the hepatic and biliary system include portosystemic shunts, gall bladder mucocoeles, cholelithiasis and neoplasia. 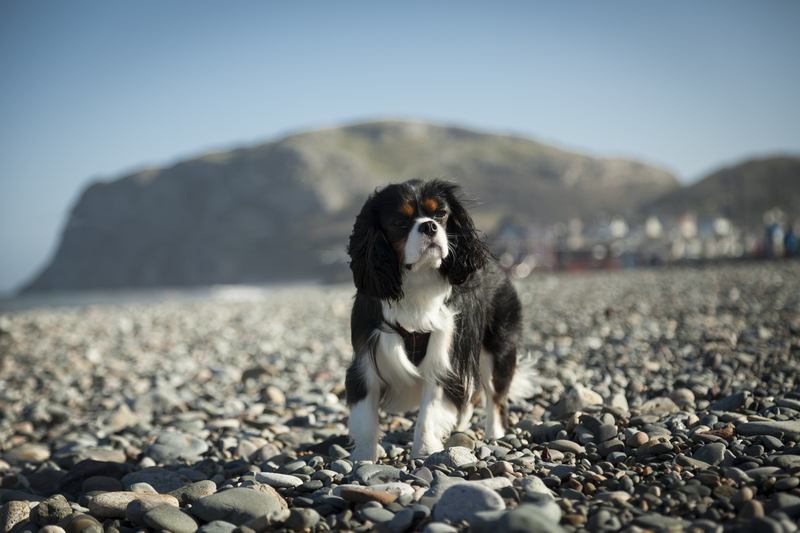 Our soft tissue surgeons are supported by a highly dedicated team of internal medicine and anaesthesia specialists as well as highly experienced, qualified veterinary nurses to ensure the very best in diagnosis and management of patients with hepatobiliary disease. Clinical signs of hepatobiliary disease can be vague and include inappetance, lethargy, vomiting and jaundice. The diagnosis of hepatobiliary disease can therefore be challenging. Here at ChesterGates Veterinary Specialists, investigations into patients with hepatobiliary disease are facilitated by our in-house laboratory, digital radiography, Logiq S8 ultrasound, 16 slice CT and 1.5T MRI scanner. We perform a wide range of hepatobiliary surgical procedures including cholecystectomy, biliary diversion and hepatic lobectomy. We have a wide range of stapling devices, electrosurgery units and vascular clips to facilitate hepatobiliary surgery. Our soft tissue surgeons are more than happy to discuss and advise on potential hepatobiliary cases via telephone or email, so please feel free to contact us. 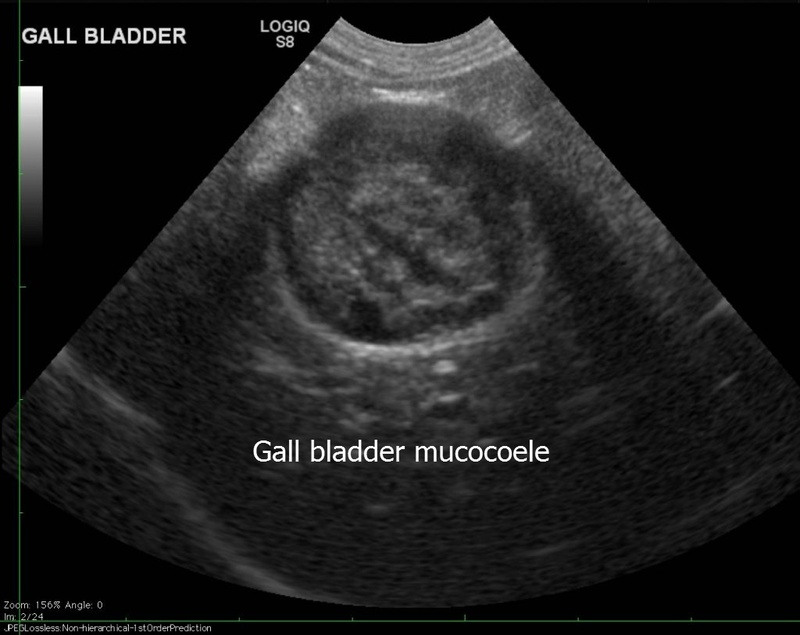 A gall bladder mucocoele is an abnormal accumulation of thick, gelatinous mucus within the gall bladder leading to extra-hepatic biliary obstruction. The underlying cause of increased secretion of mucus is likely multifactorial but this condition is frequently seen in Terrier breeds. If left untreated, the accumulation of mucus can lead to life-threatening rupture of the gall bladder and bile peritonitis. Surgical removal of the gall bladder, a procedure called cholecystectomy, is the treatment of choice. Portosystemic shunts are an abnormal communication between the portal vascular system and systemic circulation. Congenital portosystemic shunts can be intrahepatic or intrahepatic. Acquired shunts can develop secondary to chronic liver disease. Patients with congenital portosystemic shunts are usually stabilised with medical management, however long term success appears to be superior with surgical management. 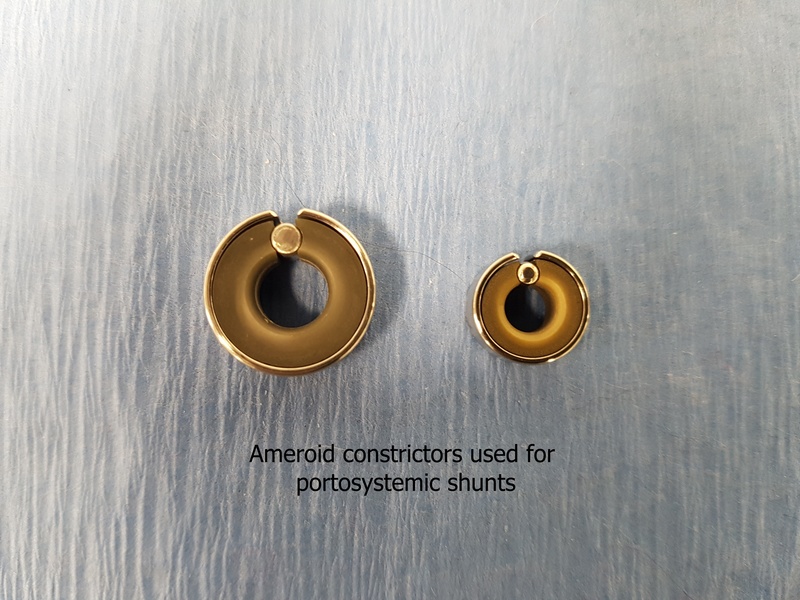 Here at ChesterGates Veterinary Specialists we have a variety of options for surgical management of congenital portosystemic shunts including silk ligation, ameroid constrictors, cellophane and hydraulic occluders.